In Britain, over five million wild animals and birds are injured as a direct result of their encounters with our world. 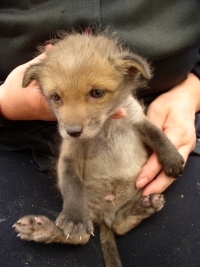 Wildlives are dedicated to rescuing and rehabilitating all species of British wildlife. There are no other organisations in this area devoted to caring for sick, injured, and orphaned wildlife and in order for us to remain open and helping animals - WE NEED YOU. Wildlives have set up the Wildlives Supporters Group to raise money and promote awareness of Wildlives and the need it serves. £25 a year will help provide vital funding to treat and care for the thousands of animals brought to Wildlives every year. In return, Wildlives will send you a car sticker and a key ring so that you can show your support for the Centre. For the cost of an apple a week, put LIFE back into the wild.